ous after all, we might soon reach a point of saturation: I have received a number of very friendly replies from people who tell me that they have already heard about the survey once (or twice) from someone else. 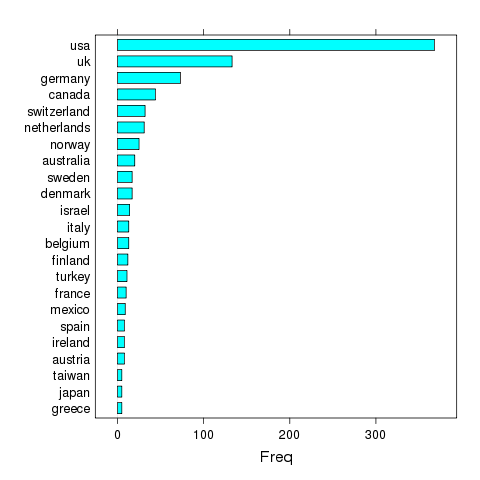 The Netherlands in particular seem to be a hotspot of peer-review survey related activities. You could guess that much from the distribution of our respondents. While the US dominate the field (as they should), Switzerland and the Netherlands come an amazing 5th and 6th, accurately reflecting the standing of these countries as Social Science strongholds.